Tablets Archives | Androidability | Android tips, tricks, and technology for better ability. Android users who have picked up Nexus or HTC handsets must be missing a file-manager. Well, you can make do without a file manager on a smartphone. In fact, many iPhone and Windows Phone users consider it as an unnecessary clutter. However, Android users choose functionality over aesthetics. Thankfully, Google’s Play Store is flooded with file-organiser apps. Out of them all, here are the five quality apps that are worth giving a shot. File Expert lets you organise the files on your phone, memory card, and cloud. You can view files in category or folder view. The app offers an efficient multi-tab based interface (similar to what we get in the web browser). Apart copying, moving, deleting files, you can transfer them to other devices including Wi-Fi direct feature. The search function works well, and there’s a recycle bin too. For tablet users, there’s a separate HD version tailored for bigger screens. ASTRO is a free, ad supported file manager that does what it says. 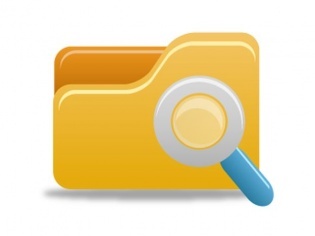 With the help of this app, you can organise and view all your files. It can also double up as a backup app and a task killer. It supports cloud services including Dropbox, Google Drive, and SkyDrive. One nifty feature is the “Cloud Hopping” that lets you move files from one cloud to another. Search, results are almost instantaneous across all indexed locations (mobile device, clouds, networked locations). Smartphone and tablets are great for browsing the web so here’s how to set your browser homepage on Android. There are a number of browsers which you can download for Android including Dolphin, Opera and Firefox. However, there are two effectively ‘default’ browsers which we’re going to stick to for this guide – the Android browser and Chrome. The standard Android browser is likely to come pre-loaded on your smartphone or tablet. It’s typically called ‘Internet’ or ‘Browser. Here’s how to set your homepage in the Android browser. Locate and open the Android browser. It might be on your homescreen but you can definitely find it in the app menu. Popular anti-virus software maker Malwarebytes has launched a new anti-malware app for Android after months of testing. The app is free to download from Google Play and protects Android devices from threats including phishing emails, malicious applications and Trojan malware. The app comes equipped with an anti-virus scanner as well as a host of other security features, including an application manager and a privacy manager which enables users to see which apps violate their privacy. As a further bonus, the Malwarebytes application immediately scans files for malware and spyware when users open their email. Malwarebytes is more commonly associated with Windows but its arrival on Android is good news, especially for a platform riddled with security concerns. A report in August found that Android malware had spiked 40% alone in the second quarter. Android Beam allows you to send content between devices just by pressing them back-to-back. Android Beam is ideal for sharing content – web pages, maps, videos, photos, and more – with other people’s phones and tablets. You can quickly transfer content between nearby devices without a long setup process. Should you root or not to root your Android Phone? Android update that will allows users to synchronize app data across multiple devices. If you have the same game installed on your phone and tablet, you’ll be able to start a game on one device and pick up exactly where you left off on the other.The update is part of the new Google Play Services 3.1 package. It’s not yet available to the public, but the folks at Android Police got their hands on a pre-release version and have been mining it for details.